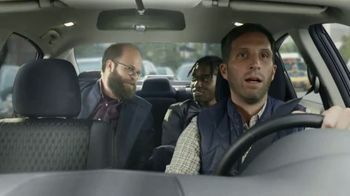 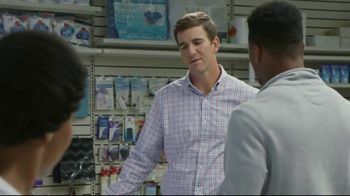 NFL players Eli Manning and Saquon Barkley take time off the field to run some errands. 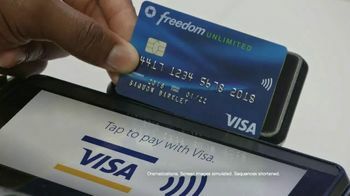 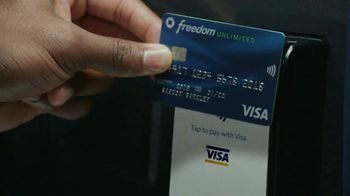 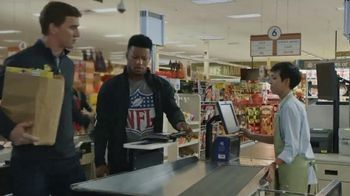 Saquon shows Eli how he can tap his VISA card to pay. 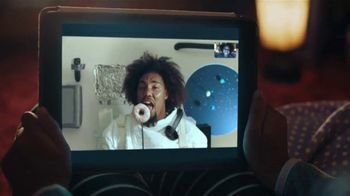 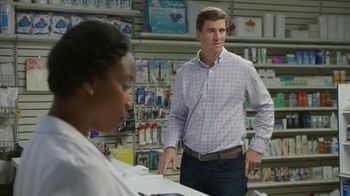 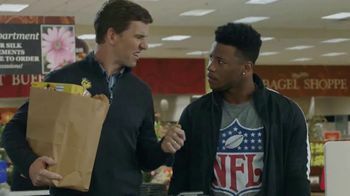 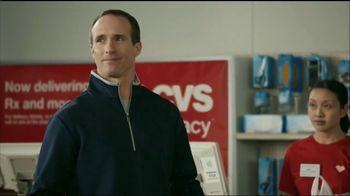 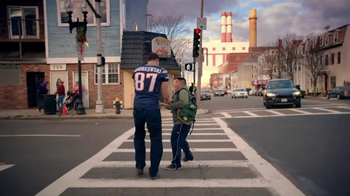 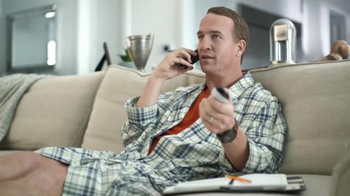 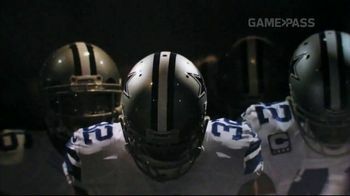 Eli then gets an idea and asks Saquon at the grocery store for the proper move to tap to pay and tricks him into paying for the groceries. 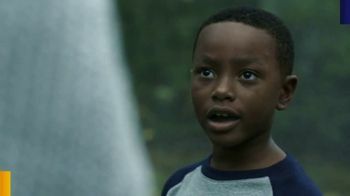 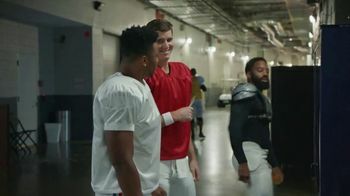 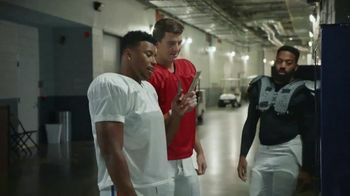 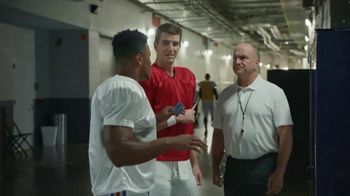 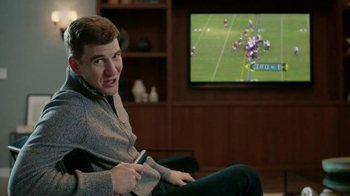 At the locker room vending machine, Eli tries once again to trick him, but Saquon just won't fall for it until another player asks what he isn't telling him. 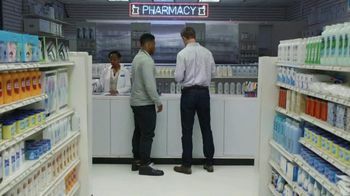 Once more, Saquon says how easy it is to tap to pay as the other player walks off with a snack. 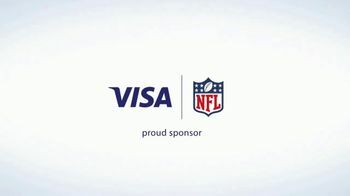 VISA says it helps your money keep up when you show off your moves.